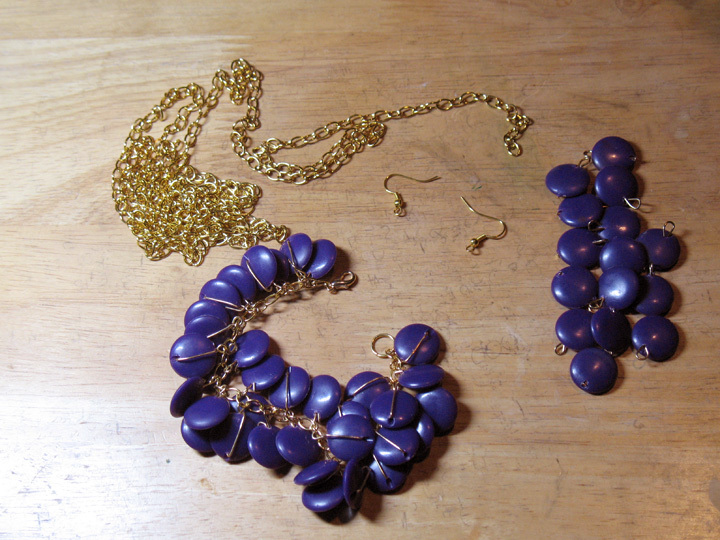 Not too long ago, I was at a flea market in Park Slope (Brooklyn), and a vendor had a big cardboard box filled with jewelry. 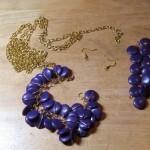 I rooted through it, bought a few pieces and came back the next day to root around some more for potential jewelry buys. 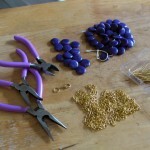 The vendor then offered to sell me the ENTIRE box for one price, and I couldn’t resist purchasing it. 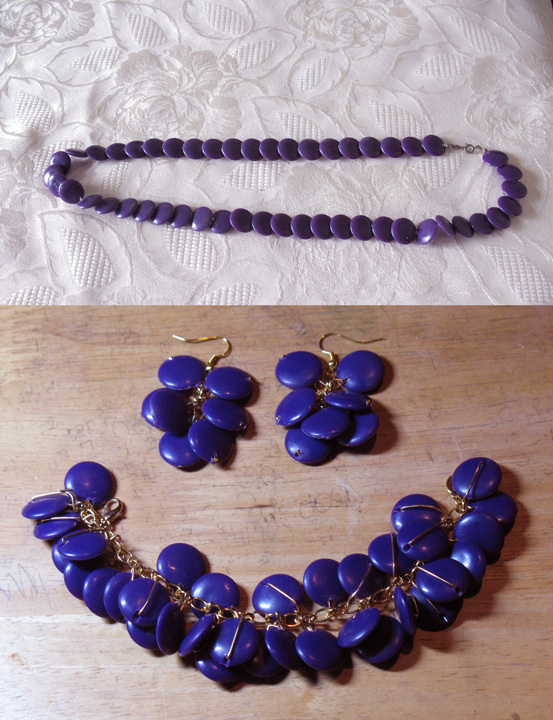 It was a treasure trove of old and broken costume jewelry that itched my crafting scratch, and this ratty purple necklace was one of them. 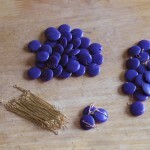 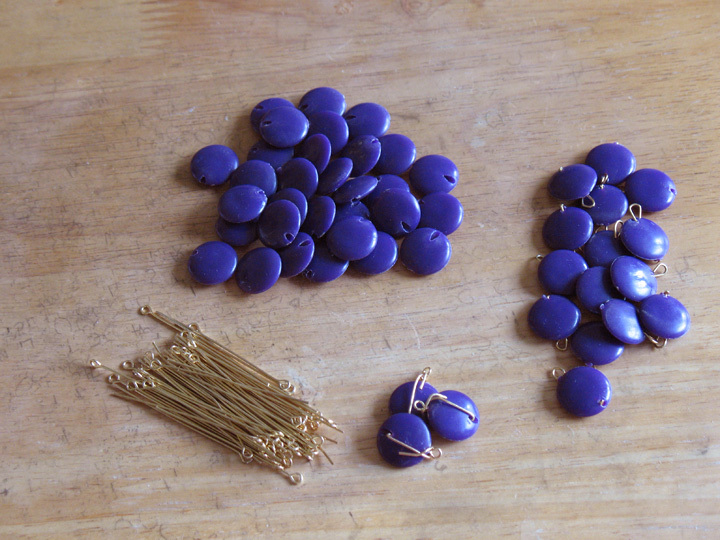 As a necklace, the plastic purple disc beads were intriguing, but it didn’t really look anything special with them strung on some string. 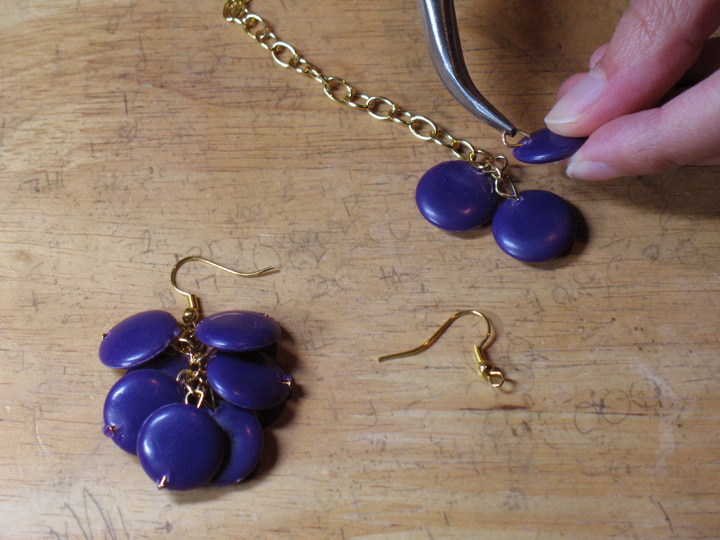 So I decided to cut it up and make a bracelet/earrings set with the leftovers instead. 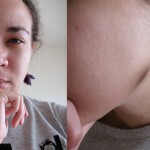 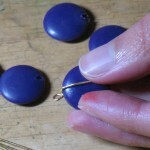 In the beginning, I tried out head pins for the beads but the holes were too big for a lot of them and they kept slipping out. 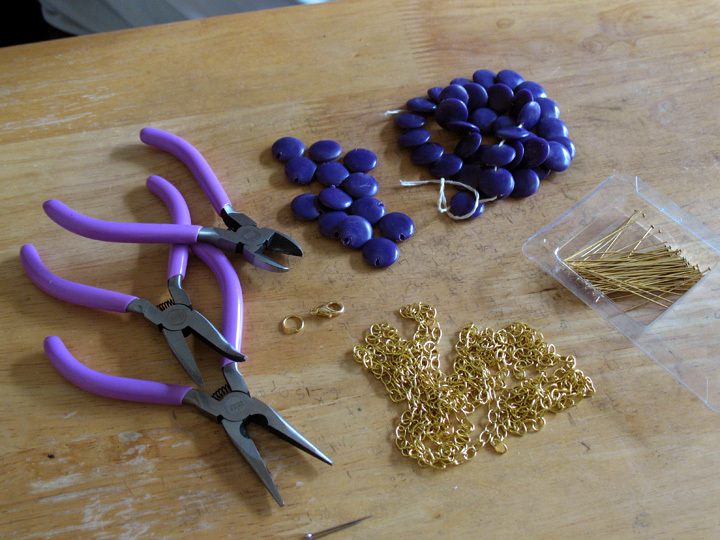 So I changed strategies and wrapped eye pins around the beads whose holes were too big instead. 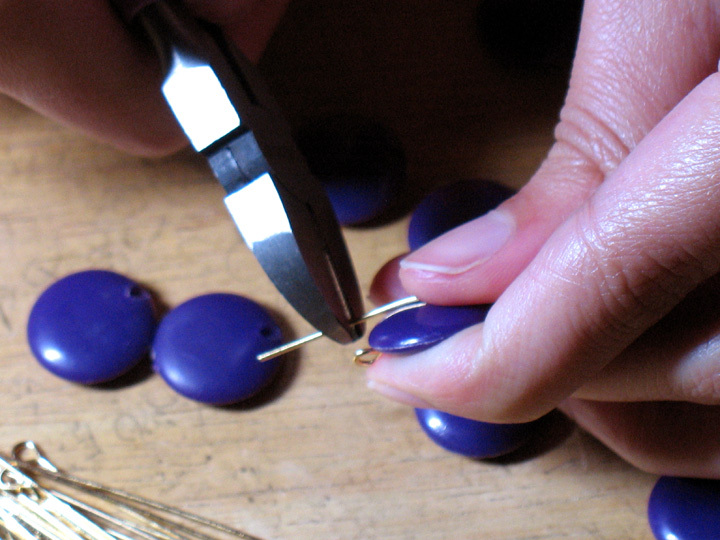 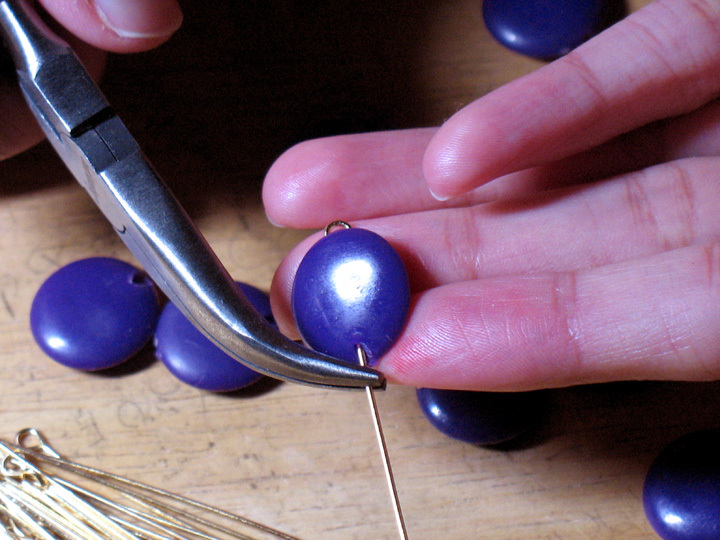 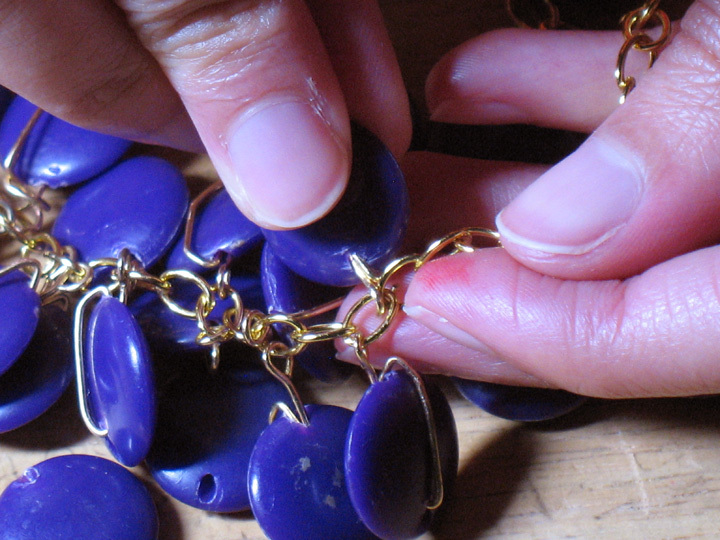 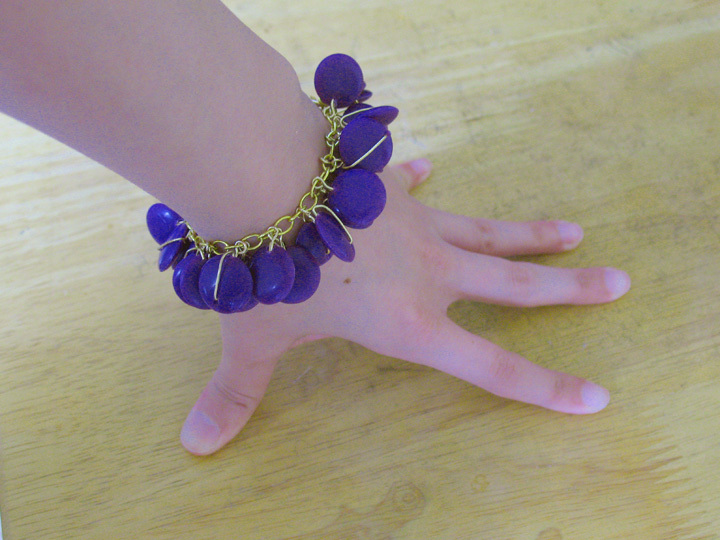 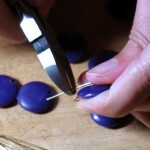 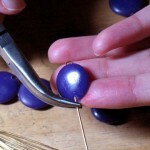 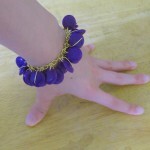 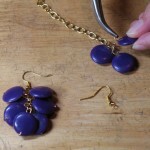 It was a bit unusual, but it did add some visual interest with the gold wire co-mingling with the bright purple. 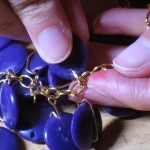 Once that was done, I hooked each one to a gold chain and attached a lobster clasp to the ends. 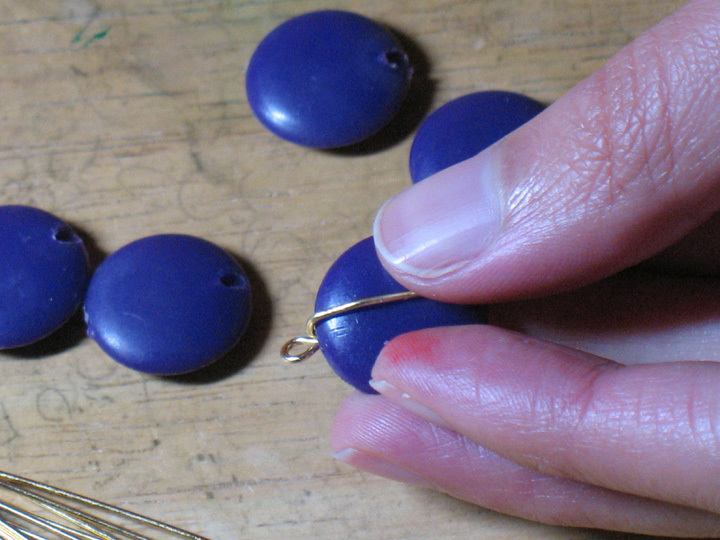 The beads with small holes I used for the earrings to keep things uniform by stringing those on head pins and attaching them to small gold chains with fishhook findings on the ends.